February 1, 2019 – NASA’s Launch Services Program announced yesterday that it selected United Launch Alliance’s (ULA’s) proven Atlas V vehicle to launch the Lucy mission, which is the first mission to Jupiter’s swarm of Trojan asteroids. This award resulted from a competitive Launch Service Task Order evaluation under the NASA Launch Services II contract. The Lucy mission is scheduled to launch in October 2021 from Space Launch Complex-41 at Cape Canaveral Air Force Station in Florida. This mission will launch aboard an Atlas V 401 configuration rocket. 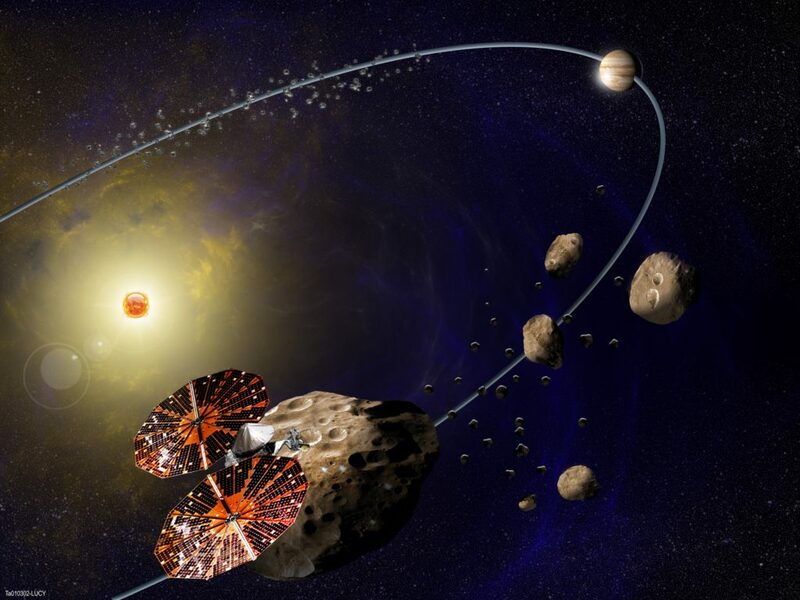 With boosts from Earth’s gravity, the spacecraft will embark on a 12-year journey to study primitive asteroids orbiting the Sun in tandem with Jupiter. The total cost for NASA to launch Lucy is approximately $148.3 million, which includes the launch service and other mission related costs. United Launch Services LLC (ULS) is headquartered in Centennial, Colorado. NASA’s Launch Services Program at Kennedy Space Center in Florida will manage the ULS launch service. The Lucy spacecraft project is managed at NASA’s Goddard Space Flight Center and the Planetary Mission Program Office at NASA’s Marshall Space Flight Center manages the Mission for the agency’s Science Mission Directorate for the agency’s Science Mission Directorate. Other mission partners include Southwest Research Institute (SwRI) in Boulder, Colorado, Lockheed Martin in Denver, the Johns Hopkins University Applied Physics Laboratory in Laurel, Maryland, and Arizona State University in Tempe.